Woot woot...Henry (top right corner) inspects finished quilt. #20 quilt completed this year! 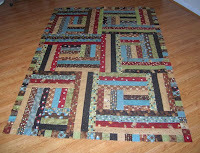 The pattern is called Civil War Scrappy from the Jelly Roll Book. I (as Laur would say) heart this book! The fabric is from a jelly roll Wildflower Serenade by (of course) Moda. 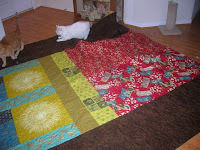 My thumbs are aching but I am now sewing binding on the other quilt picked up from Peggy on Friday. Also from Jelly Roll book. I am not one of those Black Friday shoppers-I have never been at the store at "dark thirty". BUT Melisa of Sweet Home, AKA Evil Temptress, The Enabler, had a sale this morning starting at 7AM. And of course, I am driving to Conyers, in the dark, praying I don't do a dance with a deer on 20. I made it safely there at 7AM....first one in the door, thank you very much, I have my priorites straight! I got my backing and binding for the quilt I just put borders on. Then I prowled around for more good stuff. I'll have to post a picture later when I get home from work. I told Melisa that I found a bag in the sewing room yesterday with a receipt from 2006. It had a whole collection of fabrics. I haven't got the slightest idea what I was going to do with them. Now I'll have to figure out a pattern all over again! Maybe if I look further, I might find Jimmy Hoffa in there! and all through the house.....wrong holiday. Left work a little early today-just because....anyway I did make a maple pecan quick bread to take tomorrow. I will make the broccoli puff in the morning. I also put the outer border on the quilt top I started over the weekend. I used the Nancy Halvorsen Cider Mill fabric and the pattern I got out at Scarlet Thread called "the Teacher's Pet". 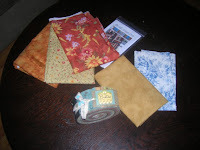 It is meant for a jelly roll but I had purchased a fat quarter bunch from Sweet Home. As you can see, it goes together very quickly. I don't have a back or binding for it yet. Peggy called and the 2 quilts are ready to be picked up-Scrappy Civil War and Daisy Chain I think. I have more to go to her..yikes. I will get them on Friday after I work for a little while! Laurie has great pix on her blog of Hong Kong. She will be home in 3 weeks-just in time for her birthday. 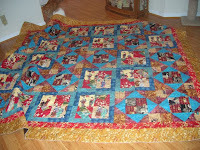 I finished "it" last week-Laurie's Far East quilt. I decided to take a picture of it in it's new home. I guess I will need to figure out something for the pillow area. Laurie-I hope you like it! TGIF and it could not come fast enough this week. 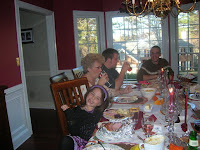 Last evening we had the Thanksgiving dinner for residents and their families at "the home". Our dietary person asked if I would help her with the set up and the next thing I know I am in the kitchen with a hairnet on and gloves. 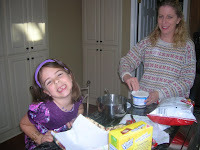 Now y'all know about me and kitchens....mine is used very little and if it weren't for the microwave-hardly at all! She has me arranging the dessert trays. No just throw the cookies on a tray for her......arrange them. (Why bother-they are just going to be eaten anyway). Then we are taking orders ala waitstaff. There is a reason I am a nurse! I ran around like a fool and you only got what you ordered if you were lucky! Anyway, afterward I crawled home and took advil and passed out. I am really looking forward to tomorrow. Several 'sistas' are meeting at Sweet Home tomorrow. It has been ages since I saw Gretchen. 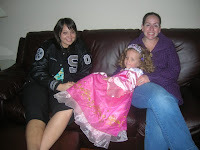 We will have some catch up time and some good shopping time as well since the Evil Temptress sent out a coupon. You know that puppy is already in my purse. Like I need anything! I haven't touched the stuff I got there last week. But descend on Sweet Home we will. I should look at the pile of finished tops and see what the status is on a Quilting Essentials project I did. It was a BOM and I think I finished it but anyway. Pat of Silver Thimble is featuring it as a new pattern. 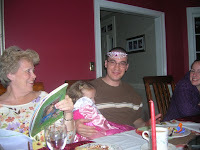 I am thinking maybe I should do it again. I guess a good thing about a cold weekend was that I did a lot of sewing. Yesterday afternoon I finished the binding on the Far East quilt. I made binding for three quilts and I also made the backs for the same three quilts. That really doesn't count because all it is is cutting a piece of fabric in half, tearing off the selvages and sewing the two pieces together. Three more quilts to go to the quilter. Laurie's quilt makes #19 for this year. 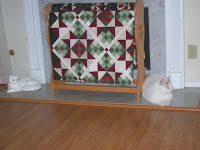 Peggy has 2 quilts now and hopefully I will get them back before the new year. I will have made my appended goal. 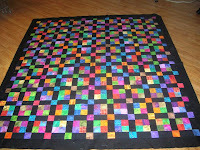 Back in Jan or Feb I decided to finish some of the quilts I have started in past years. I did finish some of them but also added more new quilts to the pile. I think today I need to venture out of the house....just because otherwise I might be considered a hermit! On another note, I made a call to my friend Jacky in NY and requested some MyT Fine chocolate pudding. I have used up my supply. I also told her she could send me some Drake's coffee cakes. I have been here in Atlanta more than 10 years but I still need the need to import those two things. Comfort food for me! All in all, it has been a great time away from work. Unfortunately I need to work to support my habit. 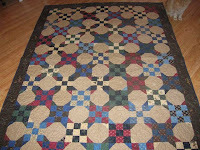 One of the ladies I visited with out at Sweet Home on Friday said quilting is not a cheap hobby. Yes, Pogo you are right but it is one that makes me very happy! If ever I need to make a quilt quickly...this is it! The pattern is Jelly Maker's Cabin. Fabric is Bistro by Moda and it takes 52 strips to complete. Basically it is 6 blocks with a border. I cut it out last night and made it today! Yes, she does! I made another trip out to Sweet Home yesterday to get the navy fabric so that I could finish Obama Blue. It really did come out quite nice, if I say so myself! And it was nice to hang out there for awhile and visit. It was a good day for quilters-rainy and damp. So I stayed and visited and wandered about the store. Drat the Evil Temptress! The fabric on the top is from the American Primer line. Melisa and crew has fussy cut this for a border and it looks great. I have a jelly roll of this line so I will just add this to it. Then I cam home and finished Obama Blue and cut the Bistro jelly toll to start that project. It is a quickie and I should have it mostly done by the end of the weekend. I bought the tan fabric to back it (also from the Bistro line and I will bind it with the red. I am on a roll! A cold front came through during the night, so It will be a good day to stay in and sew. I have some repair work to do on Sarah's brownie sash and also have to hem a pair of pants for one of my coworkers. He was walking around with his scrubs rolled up and I felt sorry for him. I made a booboo when cutting out the blue quilt. I guess I got carried away with the election because I have too many pieces and not enough strips to finish. This morning I frantically called Melisa to see if there was any of the fabric left and yes she thinks so. Lunchtime trip to Sweet Home and yes I was able to get the needed material. I also took a piece of the outer border for the Far East quilt to see if I could find something suitable. Again yes-that is the gold color piece in the picture. Then the Evil Temptress struck....the piece of fabric with the large flowers beckoned me over....it is one of those "gotta haves" and of course gotta have something to go with it. Three more pieces of fabric. THEN I mentioned to her that the pattern I intended to use the Bistro line in the Jelly Roll book didn't work and so I have a jelly roll with no plans. So she shows me this great pattern. It is called "The Jelly Maker's Cabin". Looks like it would be good for the Bistro EXCEPT, you need 52 strips to make the quilt top...so another jelly roll-all this for the needed half yard of fabric. BAD MELISA!!! Actually she is the best. 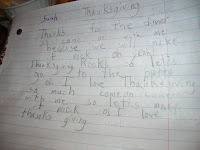 And she has her new web site up which I need to link with my blog. It is wonderful. 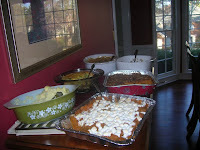 sweethomequiltco.com/weblog/ Check it out!!! Laurie's far east quilt trimmed and ready for binding. 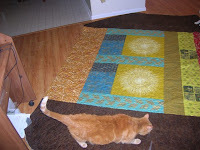 The back is pieced and as you can see, Henry and Spiff are doing their preliminary inspection. From my favorite book Jelly Roll Quilts-this one was called Blue Lagoon only I did it in fabrics I got from a kit at Sharon's garage sale! I am going to back it in a Laurel Birch fabric Yum! 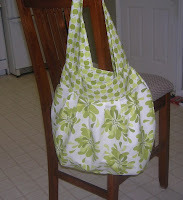 Here is Kris's bag..an Amy Butler pattern called Birdie Sling. Kris really is into AMy Butler's fabrics! After I do a little work around the house, I can go back to sewing some more. Hopefully it will be a good weekend! My it has been a long week. Probably because of the mid week trip to So Carolina. It really isn't that far but it is such a boring ride. I left work early on Wed so that I could be up there before it got dark. Mission accomplished. And after dinner with some other HMR people, I went back to the hotel and promptly fell asleep. The hotel is less than a mile from home office. The meeting was, as usual, way too long. By 5PM I was pretty much numb frozen over and then had to drive back....mostly in the dark.....with all the trucks.....not a happy camper to be sure. The one good thing about the meeting was that I won two prizes...one a pretty fall centerpiece and the other a totally useless decoration. I think Laurie usually has a dumb gift giveaway, so I will give it to her to put in her regift closet. This weekend I intend to work on Kris's bag and maybe a little of the Obama blue quilt. I so wanted to take my sewing machine with me and work on it in the hotel! 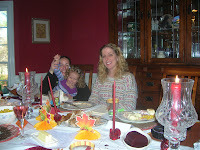 Laur called last night and surprise,surprise, she is not returning until sometime before Christmas. Since I don't have animal responsibilities this time, it is not so bad. I wonder where she gets her gypsy blood? She emailed me pictures of the party she planned for the third quarter incentives. I forgot to ask her if the weather is cooling down over there. Hope she isn't too interested in who is the Ga state senator because it looks like a runoff and another vote...goody more negative campaigning! What a night it was...and the woman who falls asleep on the couch before 10 was still awake to hear our new President tell the country that a new day is dawning. I started working on the Star Gazing quilt while listening to the TV. 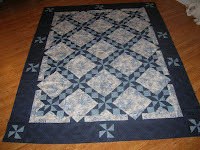 The fabric is from the American Primer line by Moda-my Obama Blue quilt. This morning I am TIRED and have to drive up to Easley this afternoon but watching TV last night was so exciting! I needed to get some aurafil thread for Kris. I know Melisa has it but am not sure about other stores....besides I haven't been there since......well that's beside the point..okay-so i have been there recently. At any rate, after work today I headed down there to get the thread since Kris is ready to sew her quilt top. Now you can't just go all that way for a spool of thread so I have to check out the store and chat with Melisa. Heard all about Houston and her adventure with Pat, AKA Sister Superior! She had Pat's pattern Star Gazing next to the shelf with American Primer on it. I decided I needed to use that fabric with that pattern. I look at it has contributing to my 401F program! But right now it is on the kitchen table...and I just about got the kitchen straigthened up this weekend and here I go again. But At least I used constraint and did not go to part 2 of Sharon's sale. Wednesday after work I have to drive up to So Car and the dreaded semi annual meeting at home office. I will be bitching all the way since it is such a waste of time. It could be done on a conference call just as easily and save lots of money. And I could sleep in my own bed. I am bitching already. But now I guess I should go to bed! If Spiff was waiting for the trick or treaters, he was disappointed because the doorbell didn't ring! Of course, the house was dark and I was holed up in the bedroom with the door nearly shut! Who says the grinch only comes out at Christmas. But I did not hear much activity outside, so maybe it is just a quiet neighborhood. And now we hit Nov 1st. Holiday time is upon us. But first I need to finish picking up the house. Didn't finish last weekend and now I have no excuse. (A dollar says it won't happen this weekend!) 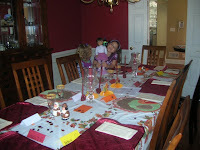 The decoration natzi will soon be making noise about fixing Meena's house for the holidays. On the Today show this morning, they mentioned Gwinnett Co. and 10 hour waits to vote. Am I glad I went on Monday and only had to wait two and a half hours.